Registration for 2019 is open! Please complete this form to register. Pam was born and raised in a Christian home in Houston, Texas. She met Carey while she was pursuing a degree in nursing at the University of Houston, and they were married in 1976. The Hardys moved to the Los Angeles area in 1990 for Carey to attend The Master’s Seminary. They lived there for 16 years, ministering in various capacities while Carey was a pastor on staff at Grace Community Church. In 2006, they moved to Winston-Salem, North Carolina, where Carey now serves as the senior pastor at Twin City Bible Church. Carey and Pam have been married for 42 years and have two sons, two daughters and one grandson. Their oldest daughter has been married for 11 years and lives in Nashville, Tennessee. Their oldest son has been married for 3 years and lives in Winston-Salem with his wife and their 10-month-old son. Their younger son also lives and works in Nashville and their younger daughter works in New York City. 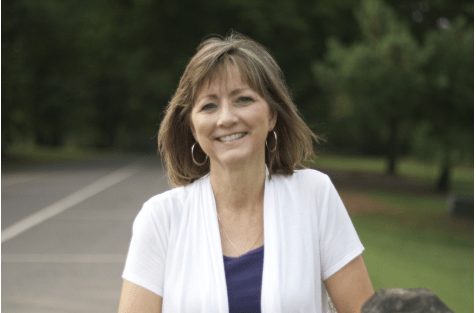 One of Pam’s greatest joys is studying the Word of God and imparting its truth to other women. For several years Pam taught in the track for wives at the annual Shepherds’ Conference at Grace Community Church. In addition, she continues to periodically speak at retreats and conferences for women. Pam’s hobbies include reading, writing, and music. But she spends most of her time being at Carey’s side to support him, and to love and serve the people he shepherds. Watch this space for more information on the 2017 Ladies’ Conference.